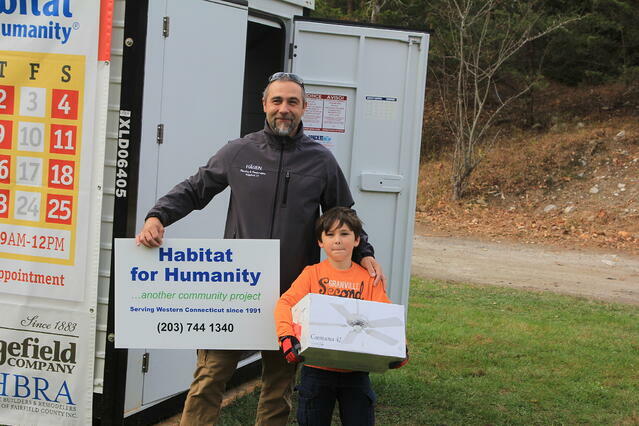 HOUSATONIC HABITIAT FOR HUMANITY’S MATERIALS DRIVE - CONTRACTOR ROUNDUP – A HUGE SUCCESS! 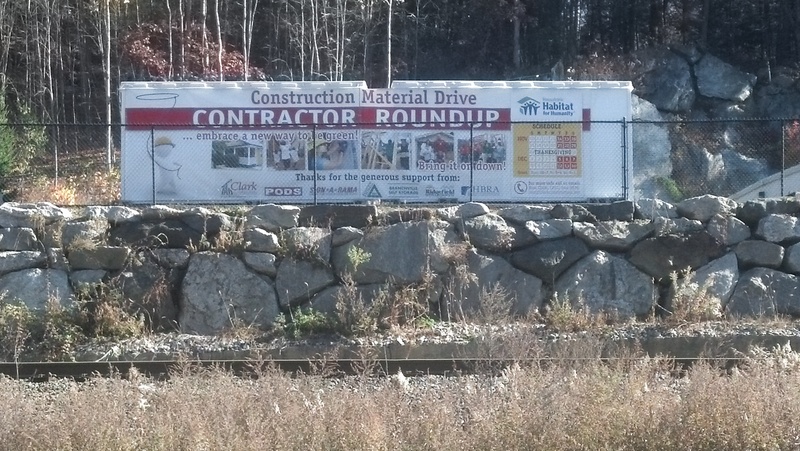 January 2014 (Danbury, CT) -- Housatonic Habitat for Humanity and Clark Construction of Ridgefield, Inc. , are pleased to announce that their recent materials drive, Contractor Roundup, was a huge success. 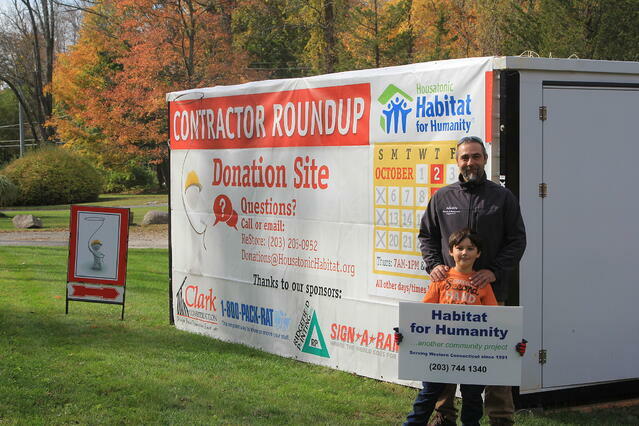 Contractor Roundup, an initiative to collect construction materials to be sold at the Danbury Housatonic Habitat for Humanity ReStore, was a unique opportunity for contractors and homeowners to donate unused items to a great cause. Items collected included dozens of bathroom and kitchen faucets, over a dozen sinks and toilets, Andersen windows and window casings, vanities, cabinets, storm doors, lighting fixtures, tools and hundreds of pieces of cabinet hardware. “I feel that the drive was a great success. We were able to raise awareness about ReStore and provide an opportunity for contractors and homeowners to donate new or gently used items instead of sending them to landfills. My hope is that, moving forward, people will remember that they have the option to donate to ReStore – to reuse and recycle”, said Ross Clark of Clark Construction. "Clark Construction took a leadership role in developing what we hope will be an annual materials raising event. By leveraging their reputation within the building community, Ross and his team were able to reach out and broaden the market awareness of our ReStore", said Fran Normann, Affiliate Director of Housatonic Habitat for Humanity. “A big thank you to our volunteers for their support of the event and the many companies and individuals who donated items. " "We would also like thank our other local community supporters: Branchville Self Storage, PODS, Ridgefield Supply, Ridgefield Printing, Sign-A-Rama, and The Home Builders and Remodelers Association of Fairfield County for their help in making this event a huge success”, she added. Housatonic Habitat for Humanity, established in Ridgefield in 1991, mobilizes local volunteers who mentor and teach under-served, low income working families and then work side by side with them to build affordable homes which are sold with 0% mortgages. To learn more about Housatonic Habitat for Humanity, call 203-744-1340, email info@housatonichabitat.org, or visit them at www.housatonichabitat.org.